Pretty sure we'll be making these a thousand times this summer. After all, they're FUN, they're EASY, and they taste AMAZING. 1. Combine Ingredients: In a medium bowl, toss together all of the ingredients except the garnish. 2. Fill the Hobo Packs: Arrange four 12-inch squares of heavy-duty foil on a work surface. (We used 2 sheets of regular foil per pack). Spoon 1/4 tablespoon of butter in the center of each foil square and pour the fruit mixture over the butter. 3. 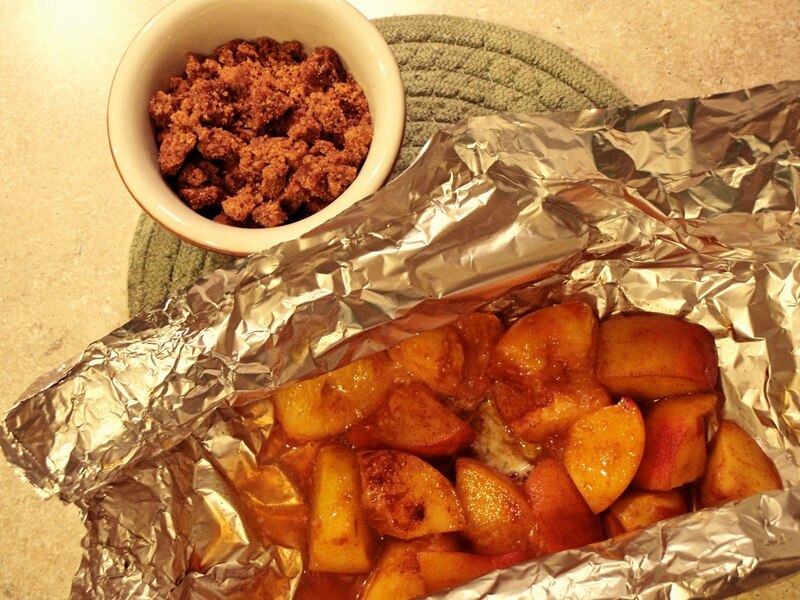 Fold the Hobo Packs: Bring 2 sides of the foil up over the fruit and fold to form a seam across the top. Fold the remaining two sides to seal the hobo packs completely. 4. Grill the Hobo Packs: Grill the hobo packs over moderate heat until sizzling, about 10 minutes. (We threw ours in the oven for about 8 min at 300°). Open and pour the fruit into bowls. 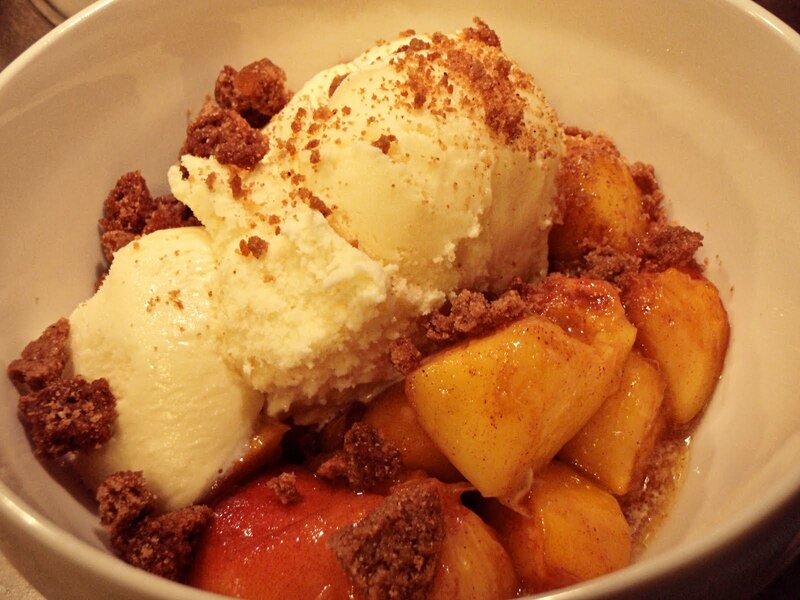 Serve with ice-cream and crumbled gingersnaps as garnish. Original recipe by Food & Wine. i might just make these tonight. yum!! leanne, hey little! how did they turn out? wish i could send you one alex in exchange for a hobo fruit pack of awesomeness. 89 more days friend and you will be a Ralston! darbs, what i really want to know is what's your favorite nickname for your twinner? ps, a good song for rover's ipod = the rabbit & the bear by josh garrels. wow! That looks delicious. Definitely going to have to try it out! Oh my that looks amazing! I might have to make this. But I dont like ginger snaps so I think I will use cinnamon toast crunch cereal or vanilla wafers or graham crackers. yum! mandy & michelle, these are worth a late night trip to whole paycheck for ingredients. promise they won't disappoint. kim, lemme know how your version turns out! two points for thinking outside the box. Looks fantastic. World Market sells a crisp, wahfer-theen version of a ginger cookie that's SUPER good, too. Just so you know. doeie, thanks for the head's up about wmkt's wafers. someone else mentioned those to me on FB so i'll have to give them a try! very well noted, my friend!